Here's how to configure SQL Server Management Studio to use spaces instead of TAB (ASCII 9) in the text editor. (1) Within SSMS, navigate to Tools menu > Options. The Options dialog will appear. (2) In the Options dialog, navigate to Text Editor > All Languages > Tabs. 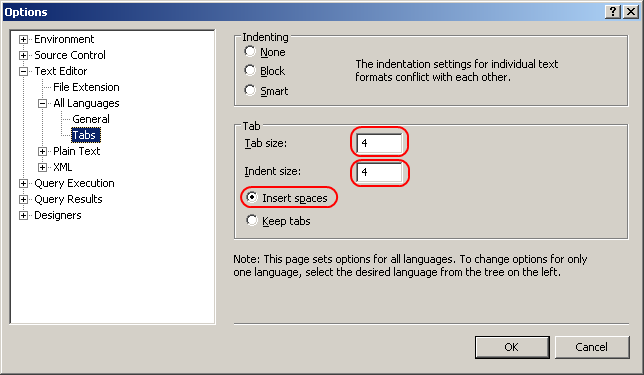 (3) In the Tab frame, specify the Tab size and Indent size fields, and select the Insert spaces option.